The TravelLite Pro is a reverse-folding tripod that makes it more compact for easy transport. 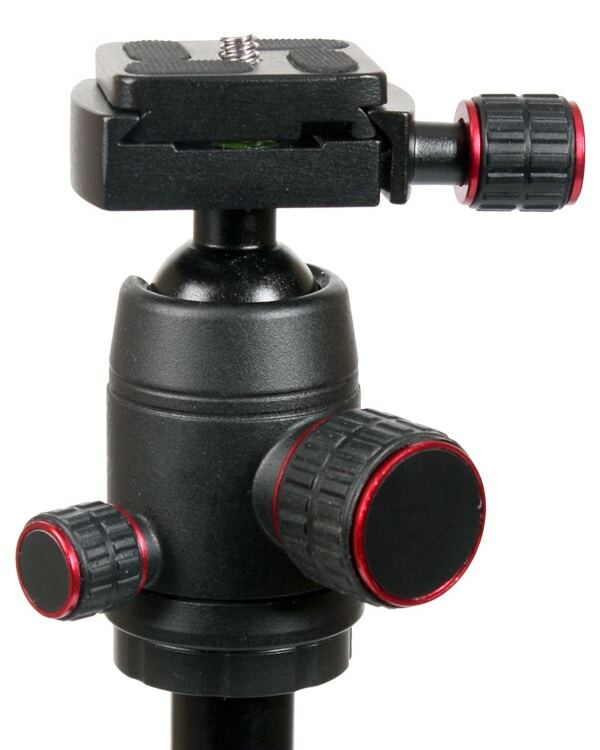 It comes with a removable professional ball head with quick release plate. The tripod extends to 63” tall, but folds down to just 14.3”. 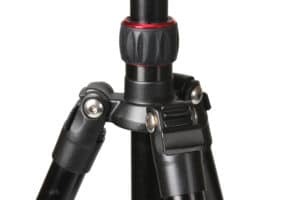 Accented with red highlights on the head, chassis and leg locks to give it a unique look, the TravelLite Pro weighs only 2.75lbs and supports up to 6.6lbs. 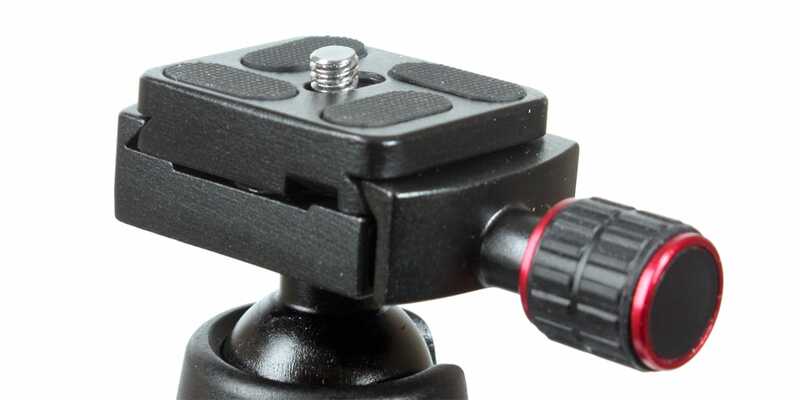 It also comes with a double center sections for precise elevation adjustments. 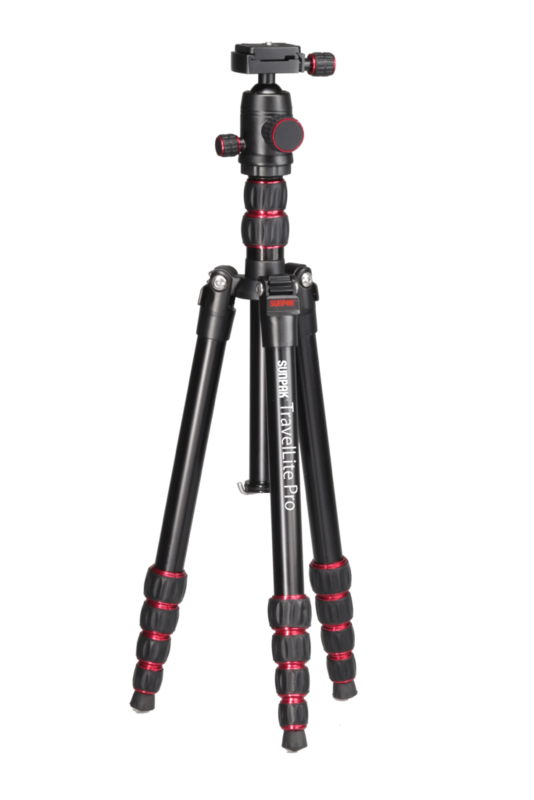 With its 5 leg sections and twist lock leg locks, the TravelLite Pro can set up quickly and easily. 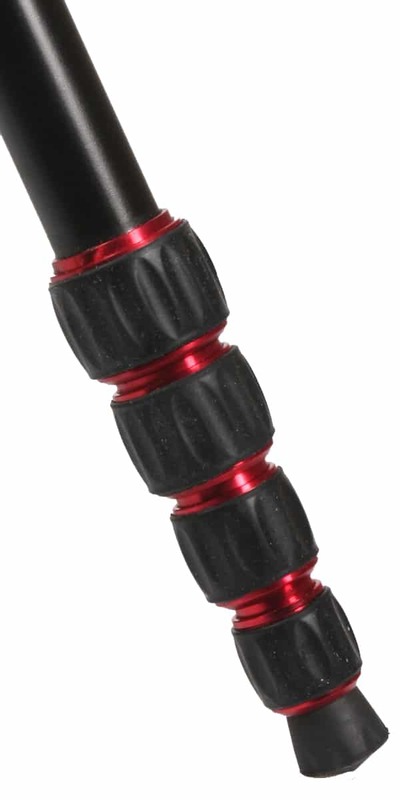 The non-marring rubber tipped feet allow for steady and secure placement. The leg angle adjustment latches let you set up the tripod at various angles – even low angle – or reverse fold. It includes an accessory hook to hold your accessories when using the tripod, or to hook your tripod to an overhead pole to stow when not in use.